We’ve been shortlisted for a CIPR Excellence award under the ‘best use of digital’ category. The CIPR Excellence Awards recognise the outstanding work an organisation has been delivering for its customers and employees. Being shortlisted for a CIPR award marks you out as an industry leader in the area of external communications, and demonstrates the value of public relations (PR) to the wider business world. This ‘best use of digital’ award recognises a successful campaign or project delivering PR objectives that make imaginative use of content on digital media channels. 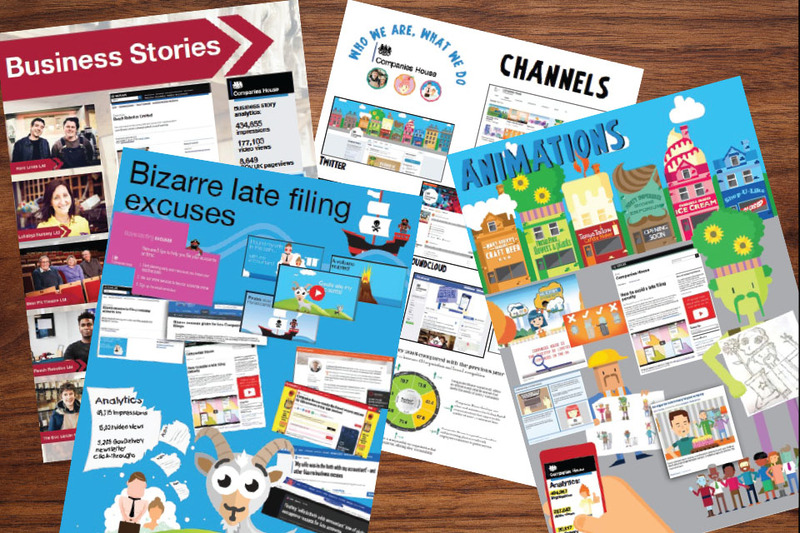 We entered our small business case studies, ‘Who we are and what we do’ animations and ‘Bizarre filing excuses’ content which formed an overarching ‘Who we are, what we do’ campaign. Our 'Who we are, what we do' campaigns. We’re absolutely thrilled to be shortlisted for such a prestigious CIPR award. There are a number of highly recognised and respected organisations in our category, so for our communications to be considered in the same class as these organisations is brilliant. Our communications team has worked really hard on this campaign, showing passion and dedication to produce imaginative and creative content across all our external digital channels. Congratulations and good luck to all those shortlisted. 8 April 2019 Welsh translation added.